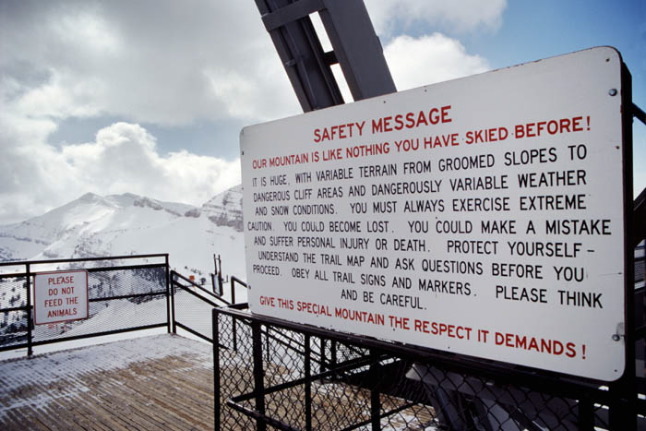 Warning sign at summit - Rendezvous Mountain, Teton Village - Jackson Hole, Wyoming. Warning sign at summit - Rendezvous Mountain, Teton Village - Jackson Hole Resort Jackson Wyoming. The unique terrain of the geologically young Teton range requires additional respect and caution compared to many ski areas in the lower 48.